Mary Jane Love Burse, age 59, of Dalton, Georgia passed away on Tuesday, November 28, 2017 at her residence. 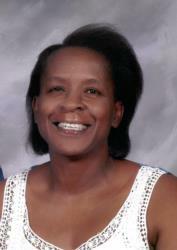 She was born on Nov. 2, 1958 to the late Alfred Hill, Sr. and Doris Love. She was a member of Mountain Ridge Baptist Church and was preceded in death by her husband, Jay Burse; sisters, Delores “Tootie” Love and Rosa Printup; sister-in-law, Kathleen Taylor; and grandson, Elijah Hale. She is survived by her two daughters, Latisha Willis Locke and Crystal Nicole Love; two sons, Russell Jamison Burse and Kemonie (Trena) Hale; fiancé, Rickie Davis, all of Dalton; grandchildren, Shamadd Love, Jeremy Willis. Kyson Love, Christian Love, John Crowder Love, Joshua Crowder Love, TJ Watkins, Hollie Popham, Devante Watkins, and Kaylwanna Hall; great-grandchildren, Drayten Willis, Zantres Love, Princeton Love, and Ariana; sisters, Annie Mae Love of Chattanooga, Tennessee, Clarrissa Love, Nancy White, Annette (Marcus) Macon, Elaine Hall, Winfred (Scott) Hart, and Joyce Burse; brothers, Robert Love, Alfred (Mary) Hill, Jr., Allen (Maxine) Hill, William (Sue) Hill, and Arthur Hill; sisters-in-law, Ida B. Little of Atlanta, Georgia and Janice Tolliver of LaFayette, Georgia; brother-in-law, Ray (Imogene) Burse of LaFayette, Georgia; aunts, Annie Mae Hill, Katie Love Wilkey, and Maria Love; special friends, Josephine Hodge, Maxine Hill, and Anna Lee Burse; a host of nieces, nephews, cousins, other relatives and friends. Funeral services will be held Saturday, Dec. 2, at 2 p.m.. in the Chapel with Dr. Jerry D. Jones, Sr. and other ministers officiating. The family will receive friends Friday evening from 5:30-7:30 p.m. Interment will be held Monday at the Chattanooga National Cemetery at 12:30 p.m. Please share your thoughts and memories of Mrs. Mary Jane Burse at www.willisfuneralhomedalton.com.